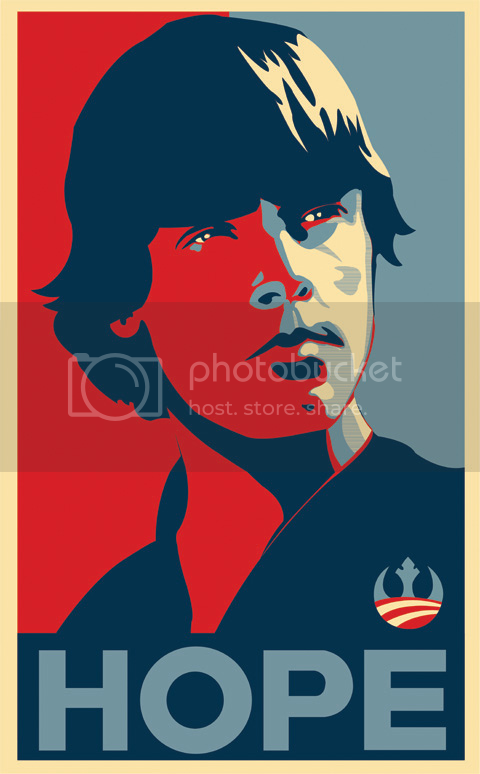 Although it's a blatant rip off of Shepard Fairey's "HOPE" poster, I thought I'd do it anyway. Not selling prints or anything for many obvious reasons including ethical ones regarding intellectual property. Hope you like it, I think it's humorous but I guess that's why I did it. Hope you guys get a kick out of it. Who's the guy smacking Orson Wells in the eye? It's the better (to be fair, traced) likeness. I didn't get who yours was at first. Always good to hear feedback, whether it be positive or not. I've gotten the totally opposite response from people oddly enough. Technically I think his isn't very good. Unfortunately he beat me to it though since he posted it 4 days ago and I had it sitting on my hard drive for weeks I guess in the end it's just a lame parody anyway. I always think of KFC. Anyway, I like it. I also found the one that Elwell posted easier to recognize, but I think that it's just because the text makes it a little more obvious and the symbol in the lower right sticks out more. I still like yours better. thanks for the feedback guys, I like hearing all comments, even if you don't like it (just tell me why or it's not very helpful). and the jfkfc poster is hilarious.